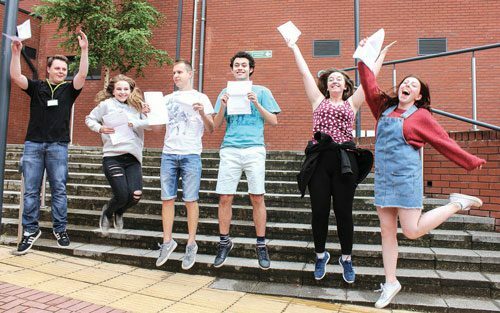 Halesowen College congratulated students on their outstanding exam results in 2018, celebrating the most successful year so far with an outstanding A Level pass rate of 99%. Students on Level 3 vocational programmes also enjoyed exceptional levels of achievement with over half gaining top triple Distinction Star grades, the equivalent of 3 As at A Level. David Williams, Principal of Halesowen College, said, “We are once again absolutely delighted with the results, which maintain Halesowen College as the highest performing 16-18 provider in the area. “We have one of the highest levels of progression into higher education, apprenticeship and sustainable employment in the whole of the UK. “Over 750 students are progressing to a range of universities, including Oxbridge and the prestigious Russell Group. “Other students have decided to stay at Halesowen College to study for their degree locally, or embark on a Higher Level Apprenticeship programme. 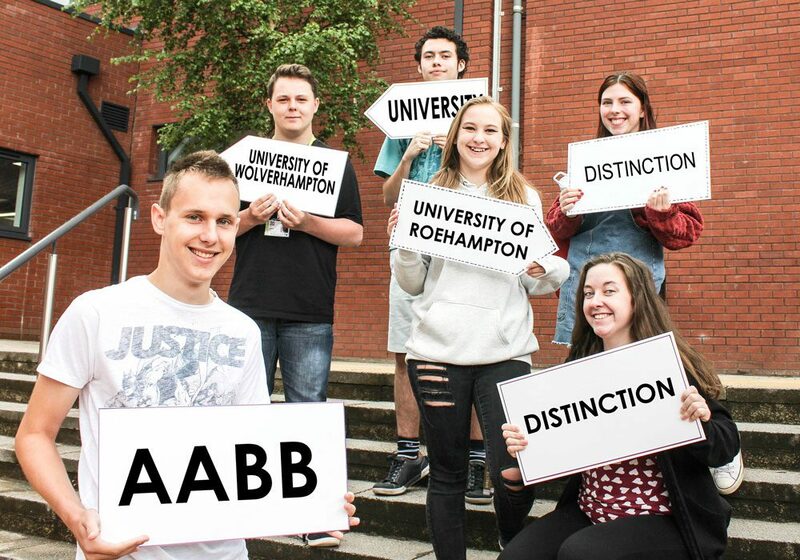 Twenty six A Level subjects and 32 vocational courses achieved a 100% pass rate, including Art and Design, English, Modern foreign Languages, Media, Music, Economics, Geography, History, Psychology, Sociology, Biology, Business, Chemistry, Computing, Geology and Physics. 32% of students achieved high A Level grades. Harry Ezeigwe achieved 3 As in Biology, Chemistry and Mathematics and progressed to University of Nottingham to study Pharmacy. Melissa Kelly gained A grades in English, Mathematics and Politics and progressed to Keele University to read Politics. With As in Biology, Chemistry and Mathematics, Joshua Thompson took up his place at University of Durham to study Chemistry. There were also top grades for Ella Bea Hutchinson, Sagal Mohamed, Jordan Neill, Chloe Walker and Rebecca Willis. Students were full of praise for the outstanding levels of support and excellent teaching at Halesowen College.